To become a Radio Amateur you need to pass one or more exams to ensure you understand the basics of how your radio works, the dangers of interfering with other radio users, how not to upset your neighbours or your parents (if you are a young person) and the rules and regulations of holding a radio transmitting licence. In the UK, Amateur Radio has three licence classes which successively award more operating privileges after passing each level of exam. You have to start at the Foundation level before progressing up the ladder but you can stop at any level you want to and there is no time limit on how long you can wait at each licence class before deciding to progress to the next level. The entry level is the Foundation Licence. To obtain this licence you undertake a training course, typically three days. The course is largely practical and must be passed before you can apply to take the exam. The exam is a 55 minute multiple choice exam and a score of 18 out of 25 or better will be a pass. A Foundation Licence will allow you to use all the Amateur Bands from 136kHz to 440MHz and 10GHz, with a power level not exceeding 10 Watts (1 Watt on 136kHz and 10GHz). 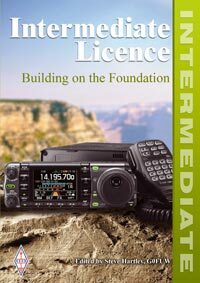 The Intermediate Licence qualification takes a similar format with more emphasis on the fundamentals of radio by actually undertaking practical tasks such as soldering, building a small project and a variety of other exercises. The exam is 85 minutes long and has 45 questions. 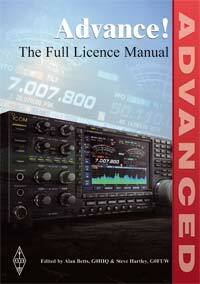 The Intermediate Licence permits use of all Amateur bands and up to 50 Watts of power (where permitted). 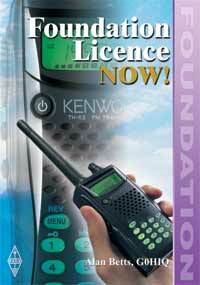 The pinnacle is the Full Licence which requires a pass in the Advanced Radio Communications exam. It again covers radio theory and licence conditions but because holding a full licence enables you to use 400 Watts power output from your transmitter, such subjects as Electromagnetic Compatibility (EMC), antenna design and safety issues are covered in some depth. The exam is 120 minutes long and has 62 questions. A full licencee has access to all the Amateur bands, up to 400 Watts of power (where permitted) and is also granted a few other privileges: operation outside the UK (CEPT agreement), maritime mobile operation (/MM), unattended and remote operation, Notice of Variation (NoV) for experimental bands (e.g 5MHz and 500kHz), repeaters, beacons, special research permits, club licences etc. The RSGB sells books to assist learning and training in all the above licence classes which are available from the RSGB Shop and when you’ve completed the training course and are ready for the exams, there are some on-line sites that produce mock exams for you to try before the real one. Warrington Amateur Radio Club and our Training Partners offer tuition in all three licence classes, Foundation, Intermediate and Advanced and draws on the expertise, knowledge and many years of experience that its membership holds to get you qualified. Once your course is complete, you can take the exam in familiar surroundings since we’re also an authorised examination centre. For more information about training or if you’ve completed the course elsewhere and just need to take the exam at an authorised examination centre, please contact us via the Contact page. Please note: Training take place on an adhoc basis and if WARC is not running a course to meet your convenience one of Training Partners in the region may be able to accommodate you. Please Contact us for details. If you’re not in the North West area, the RSGB maintains a list of places throughout the UK that offer Amateur Radio Licence training courses alongside a list of examination centres. The specifications for the Foundation, Intermediate and Advanced exams can be found on the Radio Communications Foundation (RCF) website.